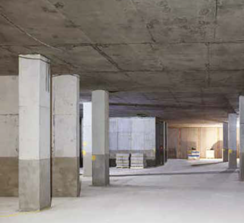 There is a wide choice of structural waterproofing materials available in the market and it can be difficult to determine the best option for a project. The complexity and competitiveness of the industry brings challenges for manufacturers seeking to improve margins, reduce costs and improve predictability. Whether involved in the specification, procurement and/or installation, there are a number of challenges to be faced including managing financial risks, efficient delivery, or meeting legislative or environmental requirements. When researching waterproofing materials, the price often differs widely from manufacturer to manufacturer. Rule of thumb - it is not always advisable to look for the cheapest! Choose waterproofing materials that will serve you well. With potentially heavy consequences (from hefty fines to imprisonment) for using or specifying products in the UK that do not meet the mandatory legal requirements, it is strongly advisable to check the source of products you are planning to specify, use or install. All manufacturers should be able to provide you with their CE Mark certification and Declarations of Performance (DoP) as a minimum. CE Marking is a compulsory legal requirement. By placing a CE mark on a product, the manufacturer is declaring, conformity with all the legal requirements needed to achieve CE marking status. The manufacturer is thus ensuring validity for that product to be sold throughout the EEA (European Economic Area). Regulation (EU) No. 305/2011 (Construction Products Regulation, or CPR) of the European Parliament and of the European Council is a regulation that lays down harmonised conditions for the marketing of construction products. Regulation EU No. 305/2011 requires all Cavity Drain Membranes/Cavity Membranes hold the CE Mark and have a DoP. Responsibility for ensuring CE Product marking lies with the EU based manufacturer, importer or distributor of that product.